Just after Congress ratified the 19th Amendment and long before Gloria Steinem and Erica Jong, there was my maternal grandmother, Susan Lilla Buchanan-Blalock. I shall often refer to her as my “Nanny” throughout this piece, even though I am an 80-year-old octogenarian. 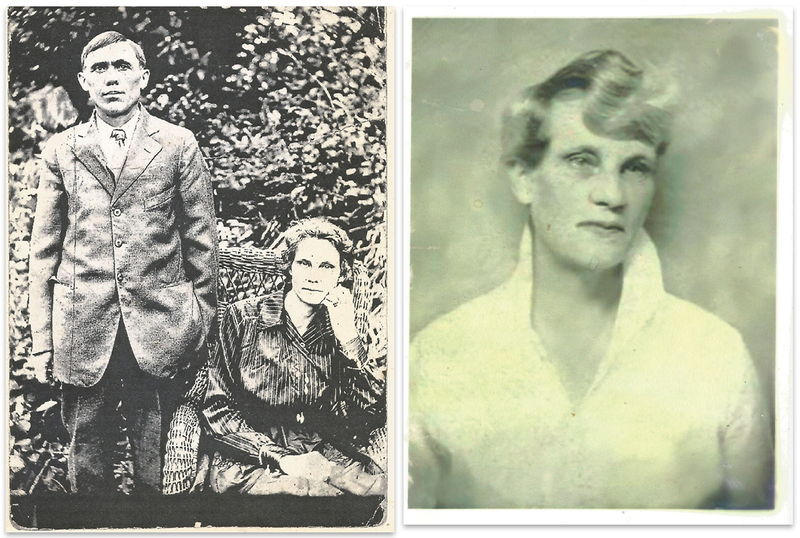 Of English descent, my grandmother was born in 1881 in the mountains of North Carolina. She was never a card-carrying member of the women’s suffrage movement, nor affiliated with any group, but she was a strong individual and an advocate of women’s rights—her rights. Before I go into more detail about Nanny, let me give a brief bit of background here. The Grand Strand is still a collection of dream-memories for me as I get older. Among them are my summers as a soda-jerk at the Rexall Drugstore at the corner of Eighth and Main, just up from the Chapin Department Store, when I came home from military school. I spent time shagging at the Pavilion to The Coasters and “Charlie Brown,” and I saw the beach go through the devastation of Hurricane Hazel. It all seems like a distant mirage now, including the German Baden Band Organ at the Pavilion, which used to give me nightmares when I was a kid. I still have the yellowed photo of me at about age 1 or 2, sitting on the crescent moon at the Pavilion with some WWII soldier’s hat on my head, and the stories I heard about the young man who fell to his death in the elevator shaft at the Ocean Forest Hotel. I also remember chasing balls for the original Boston Braves when they had their summer training camp where the old Myrtle Beach Air Force Base was before the new one was later established. That alone qualifies me as an antique. David Collins, Morgan Lewis and Jack Divine were among my classmates and friends in sixth grade. Barbara Winstead was my first love. Most of my family at the beach have passed on and are buried at Ocean Woods Cemetery, including my Nanny. 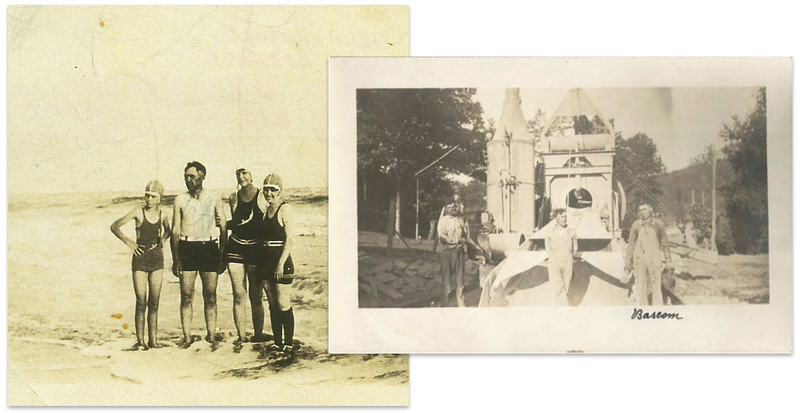 The Blalocks were one of the original founding families at Myrtle Beach. Bascom and Susan Lilla (Nanny) first came with their progeny to the area, then known as “Dogwood Neck Community” in New Town, or Chicora, as Myrtle Beach was known before the locale was officially named Myrtle Beach by Mrs. Burroughs. They came from Spruce Pine, North Carolina, in 1924 when my maternal grandfather, Bascom Walter Blalock, then a foreman with the Carter Construction Company out of Charlotte, came to the beach to help pour the first streets in the area. My aunt Bonny Davis was the oldest, then my aunts Jean and Trula Lee, Uncle Hoyle and my mother, Nina Opal Blalock, the baby of the brood. They all arrived in a homemade station wagon, which consisted of a hulled out Ford sedan with wooden planks inserted and covered with a canvas top. My mother, Nina Opal Blalock, was the valedictorian of the Myrtle Beach High School graduating class of 1934. Bascom Walter Blalock, known by all of his workmen as Cap’n Blalock, was a simple and proud working man, and was not remotely interested in investing in land, as others like Dr. Woodside, Dan Nance and the Burroughs-Chapin folks did at the time. He came to the area only to help pour concrete in and around what was to become Main Street and Eighth Avenue North, and that’s all he was interested in doing. Nanny was the exact opposite. Looking back, she reminds me in many ways of an aristocrat without an aristocracy. She owned and operated one of the first tourist venues on the Grand Strand, “Lilla’s Seashell Shack,” way back in 1927. Here she sold various shells that she found on the beach, and also conducted her taxidermy business. She was the only female taxidermist in Horry County, and probably in the state of South Carolina, at the time. She epitomized the concept of a woman’s personal freedom and refused to take a backseat to anyone, male or female. Nanny was a successful hunter and a better shot than most men in the area, much to the chagrin and jealousy of local hunters who brought their gators, deer and other creatures to her for her to stuff and mount for display in their homes and businesses. About that same time, she caught and reeled in the largest salt-water bass on record off the old North Avenue pier using only a small Pflueger rod and reel. Of course, she stuffed and mounted it. I slept under its glass eyes and those of many other stuffed creatures in my room. My childhood buddies said I lived in a museum and compared my room to The Inner Sanctum, a popular radio horror program in those days. Nanny was legendary in the area for her hunting skills and shooting abilities. Everybody knew her. A lot of men didn’t like her because of their jealousy of her well-known skill with the long rifle. Her favorite hunting tools were a Winchester 30/30 lever action and a .410 shotgun over and under. Some folks were even afraid of her. She was tall, elegant and had a fearless, somewhat imposing presence about her in her riding britches and laced up knee-length snake boots. To many of her fellow hunters, she was an interloper in their world, that of men and guns, hunting and the like. To them, she should have stayed at home in the kitchen and hanging out clothes on the line. My grandfather was of this opinion also, which became the nucleus of many raging battles between them, some of which I witnessed as a child. shelf, took them home, emptied out the shot and re-packed each shell with one long slug of lead that she made herself over a fire. From a puny .410 round full of bird shot, the round was transformed into a devastating slug that could bring down most any large animal in the area. She was a familiar figure with a haunting kind of aesthetic, old world grace about her. And, despite her innate toughness and resiliency, she was still feminine. (Left) Bascom and Lilla Blalock. (Right) “Nanny” was a true Renaissance woman and a force to be reckoned with. I’ve often wondered what she would have thought about Gloria Steinem, Erica Jong and the female movement had it been around then. She became an invalid in her mid−50s and died when I was 12. It was my job to take her “nightly medicine” to her, a small single shot of bourbon to her bedside during the last two years of her life, and to keep the coal stoked in our old woodburning stove. She had been my Nanny my whole life. It might seem unusual to some for an 80-year-old man to write about his grandmother thusly, but that’s who she was, and I loved her very much. My father left us when I was born and she became the most profound influence in my life. She was in many ways a true Renaissance woman. Along with her hunting skills, business acumen and taxidermist shop, she wrote poetry, publishing some of it in the local paper and in North Carolina. Poetry was to later become my life. The first poem that I remember making was about her when I was 15 and restricted to my room in military school. Despite being landlocked in Atlanta today, I am still a “sandlapper” at heart, will always be one, and should return home where I belong. I still make my poems and am the retired Master Poet in Residence for the Georgia Council for the Arts and Humanities and The South Carolina Arts Commission, but, in a large part due to Nanny, The Strand is in my DNA and heart and will always be there. Each time I return, regardless of how old I am, I will always be the kid who stayed up all night on Pawleys, trying to chase down the Gray Man until I become a ghost like him, just me, the dunes, and the ocean wind in the fading surf of my memory.